Hello and welcome to Blacksci-fi.com’s coverage of the Electronic Entertainment Expo, or what industry folks call E3. This is arguably the biggest conference for the video game industry, and all the major players come ready to announce upcoming projects, games, and hardware that further consumer excitement and set media buzzing with all the goodies that are coming soon. Sit back and relax, while BSF gives you the relevant geeky news comes out this week. 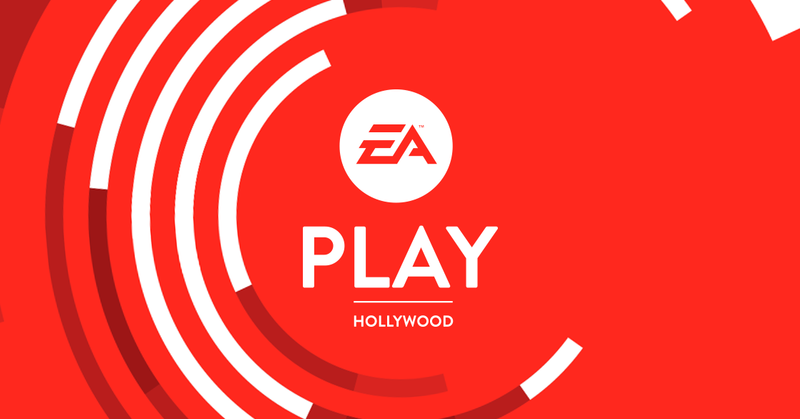 First up on the list: EA Play 2018. Like all businesses, each of the major publishers, studios, and conglomerates will position themselves to vye for media supremacy. One of the tactics that has been used more prevalently in the past few years has been to trump competitors by actually having your press conference before the actual beginning of E3 on June 12th. Electronic Arts is one of the largest gaming companies in the world, in control of major titles such as Madden, The Sims, and Star Wars properties in video games. They have positioned themselves as the only company that has their press conference on Saturday, June 9th, and it was a big one. Check out some of the major annoucements below. First up is the game that may make the biggest splash of E3 even though it was one of the first to be featured. Anthem is a title by Bioware, makers of the Dragon Age series and Mass Effect universe. Announced at the previous year’s E3, this so-called “Destiny killer” is a massive multiplayer dynamic universe where players gear up in Ironman-like suits of armor and blow the heck out of enemies. The trailer last year set the internet abuzz and this year, EA doubled down by showing gameplay footage for the first time. We also got a tentative release date of February 2019. Concerns still abound about how Bioware’s famed narrative driven gameplay will work in an MMO-style shooter, and how exactly the loot grinding system will work, but those tend to fade into the background when one watches a trailer of a mech blowing stuff up. Image Credit Electronic Arts, Respawn Entertainment. A new game has been announced within the Star Wars universe called Jedi: Fallen Order. Respawn Entertainment, creators of the critically acclaimed Titanfall series, have few details that were released and no gameplay, trailer, or logo given, but at least we know it is on the way. Star Wars: Battlefront II has announced new features for the game. 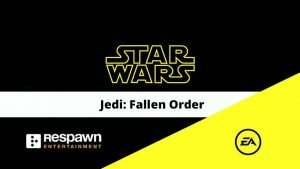 New modes, new planets, and characters General Grevious, Count Dooku, Obi-Wan Kenobi, and Anakin Skywalker were confirmed as coming to the much-maligned game. EA also recommitted their support to continue to make the game better in what may be too little too late after the loot box scandal of last year. Another interesting title that was announced today is Sea of Solitude, which is developed by Jo-Mei games. By the trailer, it appears to be a puzzle platformer that has a creepy, but engaging mystery at its core surrounding a girl and the monster that she has become in a surreal world surrounded by water. The art style looks amazing, and this will be one to look out for in early 2019. How about a game that is available to play today? Unravel, the critically loved platform title from 2016, got a sequel today that is meant to be played cooperatively. Both Yarny’s used their physics-based strings to move and swing around the world, hopping from one place to another in this adventure. The best part was at the end when Coldwood Interactive announced that the full game is available to download immediately. We should expect to see more upcoming subscription-based services after the success of Xbox Game Pass releasing new games on their platform. EA Origin is adding a tier to their already stellar offering of games. Premier Access holders will be able to play all of EA’s new games immediately. The service will cost $14.99/month or $99/year. It may seem like a steep price, but with most new games costing $60, this service may prove more valuable if one knows they will be buying multiple EA games in the calendar year. Anthem, Anthem, and more Anthem. Everyone is waiting for as much news about that game as possible and today EA gave a small snippet of gameplay. I don’t know if it’s good marketing to only give folks bits and pieces of the game like this, but it is clearly working as I assume that Anthem will be the biggest takeaway from E3 this year. EA Sports is strong every year, and my favorite sports game FIFA will be getting a Champions League makeover which everyone pretty much expected once the Pro Evolution Soccer contract ran out. Madden will be a big seller as usual. I still am waiting for the day when they floor us all with an NCAA Football announcement, but I fear that day will never come. I toyed with putting the Battlefield V footage up, but the big piece of news there was the addition of a “battle royale” mode that has taken the world by storm in games like Fortnite and PUBG. But, is it really news? Call of Duty recently announced the same thing. In my opinion, Fortnite is the biggest thing going right now, and these big studios are late to the party. That concludes BSF’s coverage of EA Play. Stay tuned throughout the week for more updates.